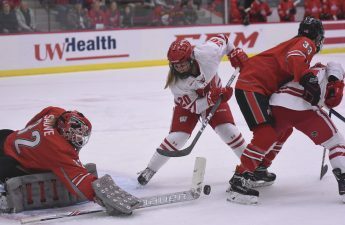 As we all begin clearing the turkey and stuffing from our table, the University of Wisconsin women’s hockey team will be heading out to Washington D.C. for a thrilling weekend series at the nation’s capitol. The Badgers have been on a roll this season, maintaining a perfect record throughout three months of intense play. Now, the Badgers are hitting the road again after a bye-week to play two East coast teams. It might seem weird that Wisconsin is heading out in the middle of the season to play a non-conference team, but with North Dakota missing from the schedule this season, the NCAA needed a way to fill the empty schedule spot. One of the easier ways to do this would be to fill the spot with non-conference games, allowing for teams who usually don’t meet during the regular season to meet each other more frequently. 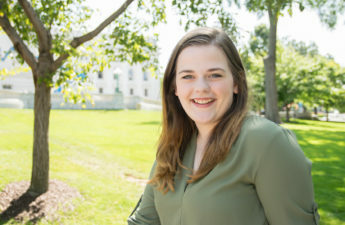 Wisconsin will face two opponents when they touch down in D.C., the first being the Northeastern Huskies and the second being the Boston University Terriers. 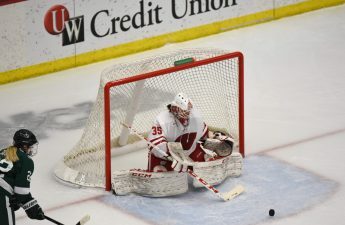 Northeastern is a relatively new opponent to UW, with the Badgers and the Huskies having little to no history between them. Northeastern has been fairing relatively well this season, with a 7-7-2 record up until this point. The Huskies have been proving that they can handle big opponents, having faced national champions Clarkson earlier this season. While the Huskies might have walked away from that series with a 0-1-1 against the Golden Knights, it was still an impressive performance for a team that was unranked going into this season. Boston University has always been a solid hockey school, and is not a stranger to taking on ranked opponents. While their season record leaves something to be desired — sitting at 4-6-2 as of this past weekend — this program is showing signs of vast improvements. Two current players, forward Victoria Bach and goaltender Corinne Schroeder both earning awards in the Hockey East conference for their performances last weekend. Bach managed to net four goals during the weekend, while Schroeder only allowed two goals against Vermont. 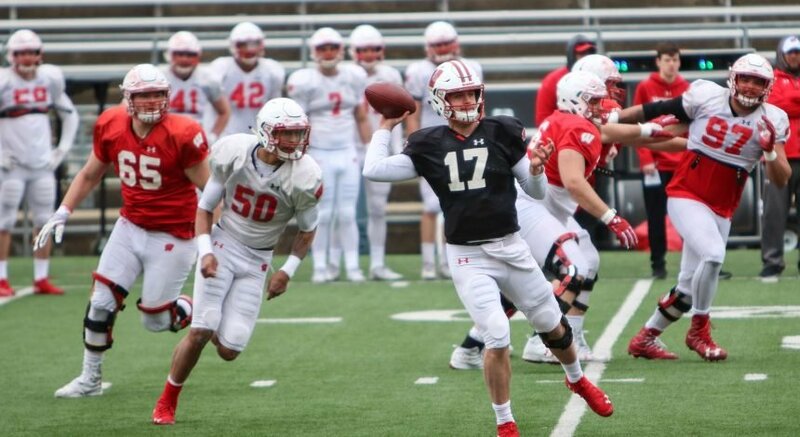 Boston University is a strong team, despite what their record might suggest, and they are going to put up a fight against the Badgers. Wisconsin will have an exciting weekend ahead of them, with great teams waiting for them in D.C.. The games will take place in the Washington Capitals training facility. 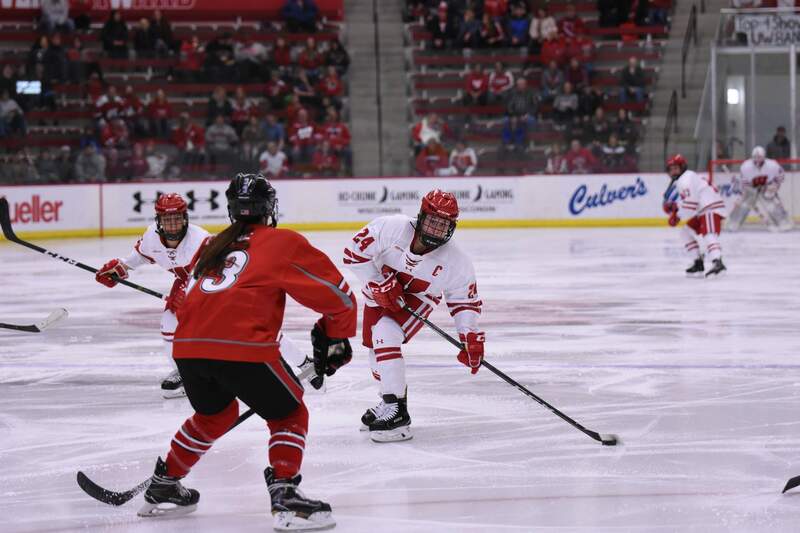 Northeastern and Wisconsin will face-off Friday at 4 p.m., and the Badgers and the Terriers will finish the series Saturday at 1 p.m..